The mission of the FRIENDS OF THE FAIRVIEW PARK CITY SCHOOLS is to support the development of strong, vibrant and safe schools that are essential to the stability and growth of our community. These facilities will provide a dynamic learning environment and the modern educational resources necessary for developing Fairview Park's future leaders. 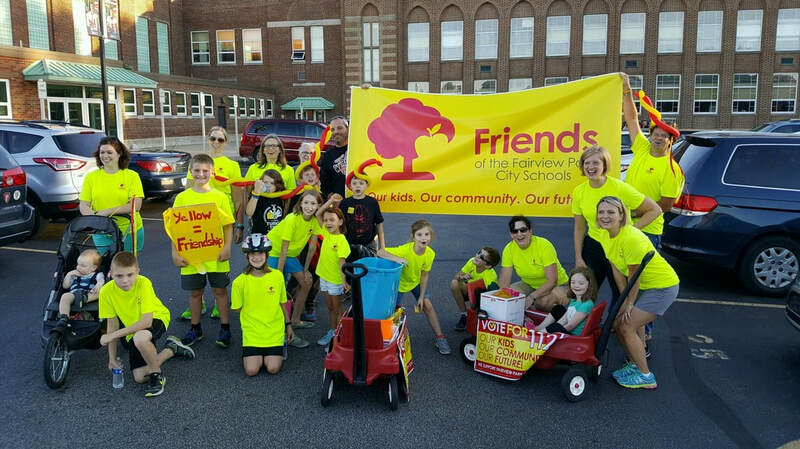 The Friends of the Fairview Park City Schools is a group of Fairview Park residents and community members who have joined together in support of a common cause: our schools. We understand the dramatic impact a successful, innovative school district has not only on our own children, but the community as a whole. We are always looking for new members who share our vision. There are a number of roles available for you to fill, depending on the amount of time you have to give. Please contact us at friendsfpcs@gmail.com to find out about our next meeting or volunteer opportunity. We'd love to have you!